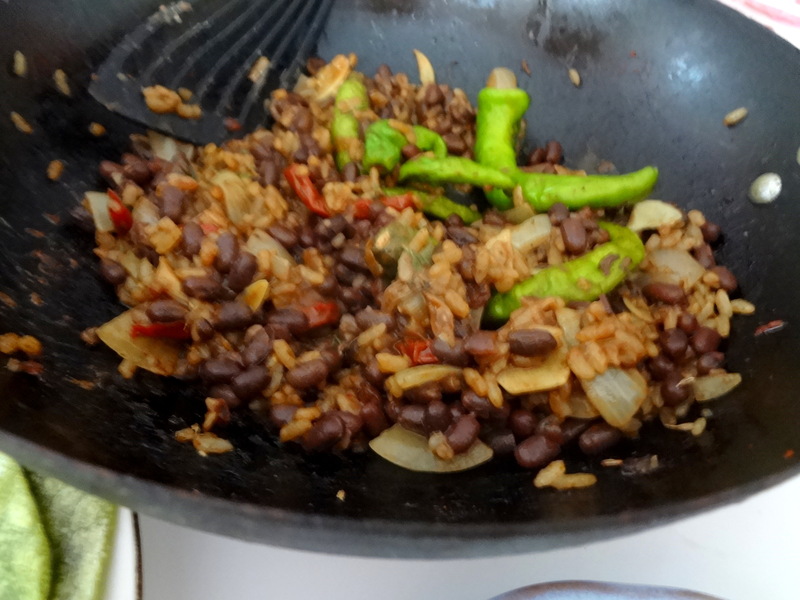 A Mexican-Japanese fusion dish. 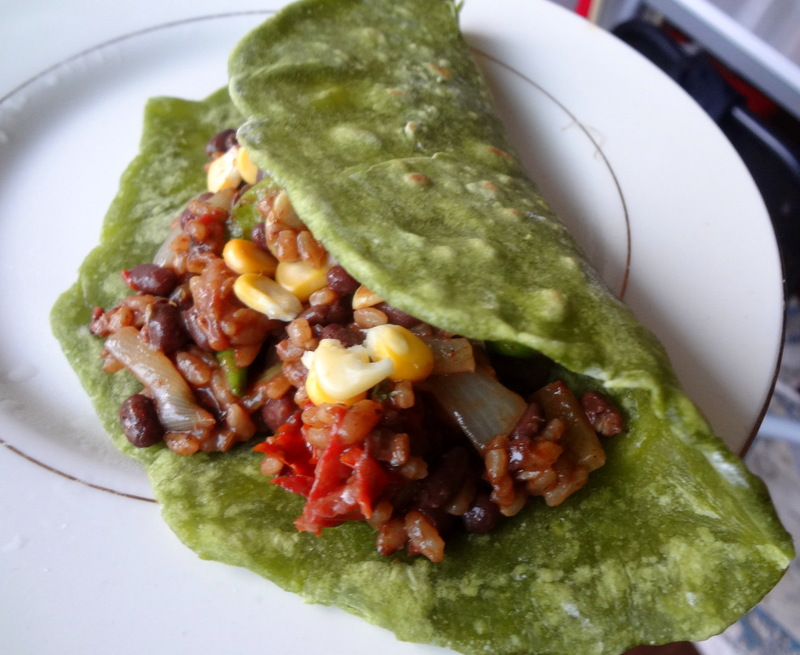 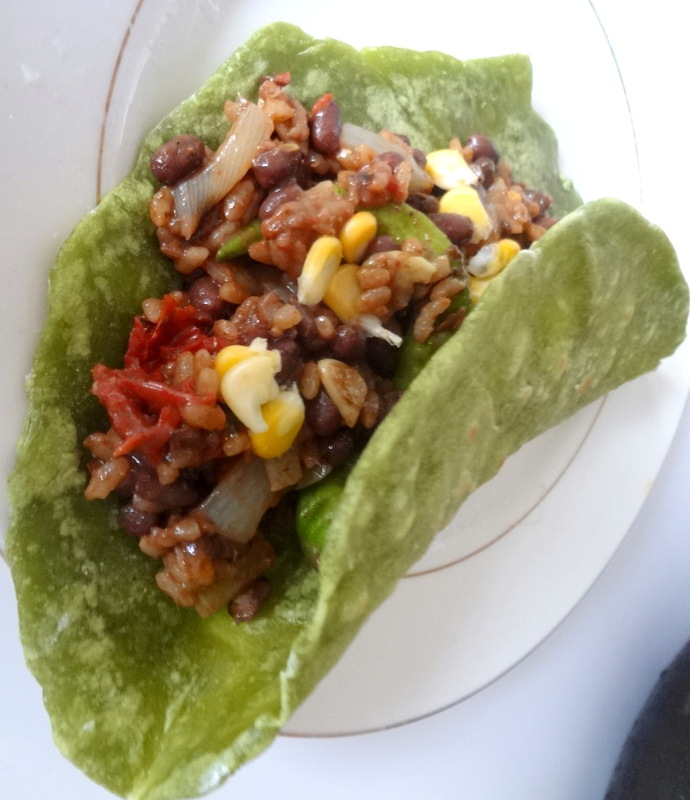 I’ve added Japanese matcha tea, azuki beans and rice to tacos. 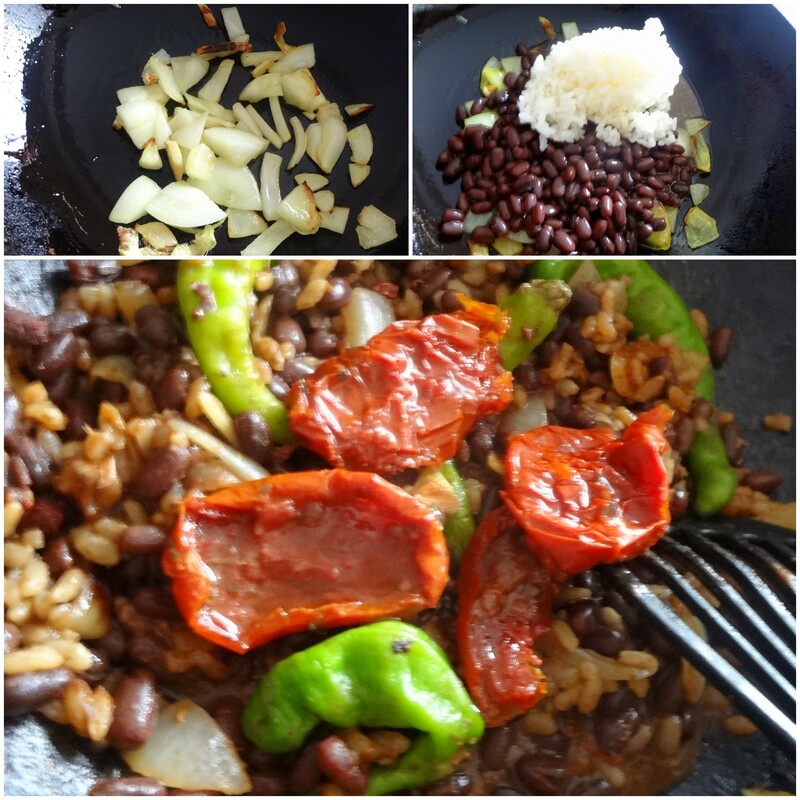 Azuki bean chili, with rice, green peppers, fresh thyme and dried tomatoes. 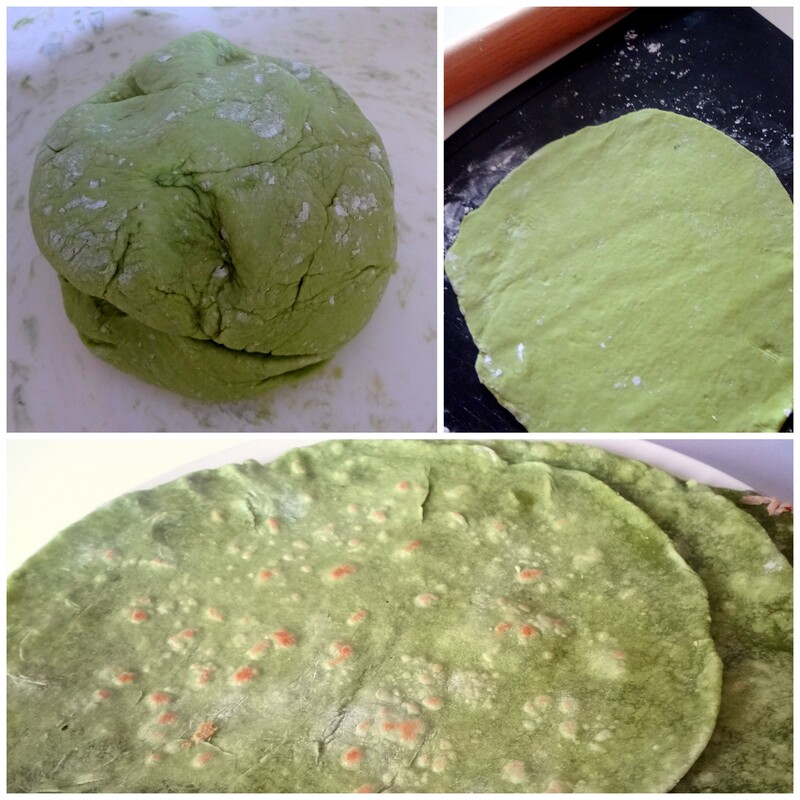 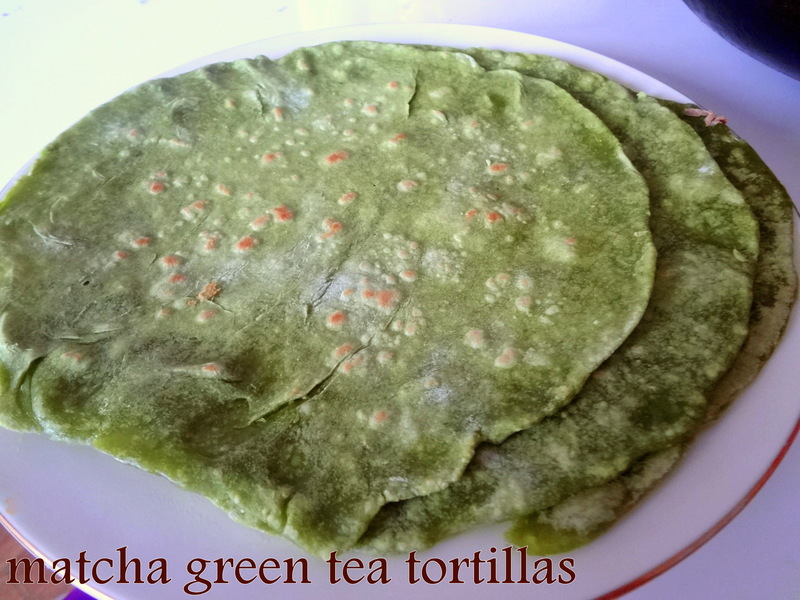 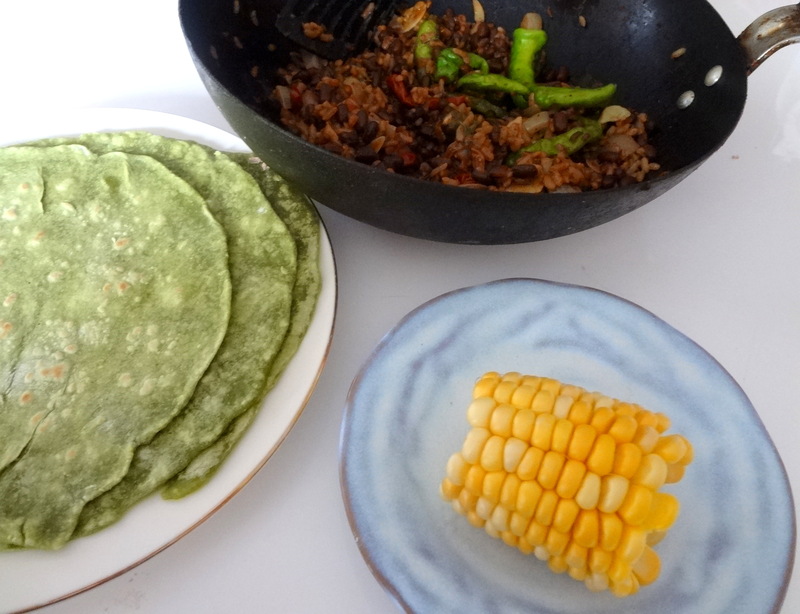 Wheat flour tortillas with matcha green tea powder.